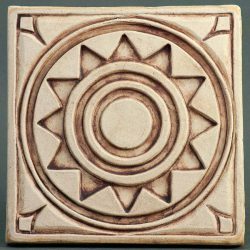 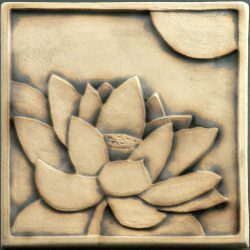 A collection of 8″ x 8″ handmade ceramic decorative relief tile. 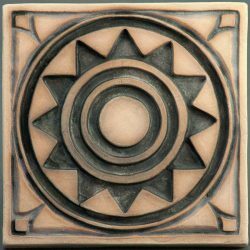 These substantial tiles can be the highlight piece on a mantel or surrounded by field tile in a wall mounting. 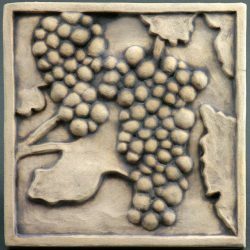 They can also be hung alone or in a group using the indentation on the back for hanging from a screw or nail. 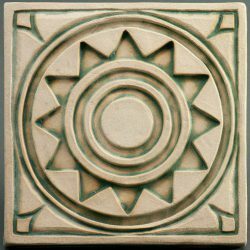 These tiles are very sturdy and are suitable for both interior or exterior use.